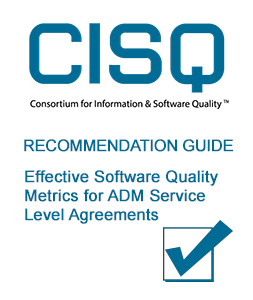 Move beyond traditional "time-based" service level agreements (SLAs) to vendor agreements that contract around the quality of code. This guide discusses how to set SLA measurements for structural quality characteristics (security, reliability, etc.) to lower risk, improve application ROI, and incent vendor performance to a defined standard.